Ideal for getting fit in the comfort of your own home, the Intrepid i300 is a durable low-priced treadmill with a compact design and folding deck to help save space. 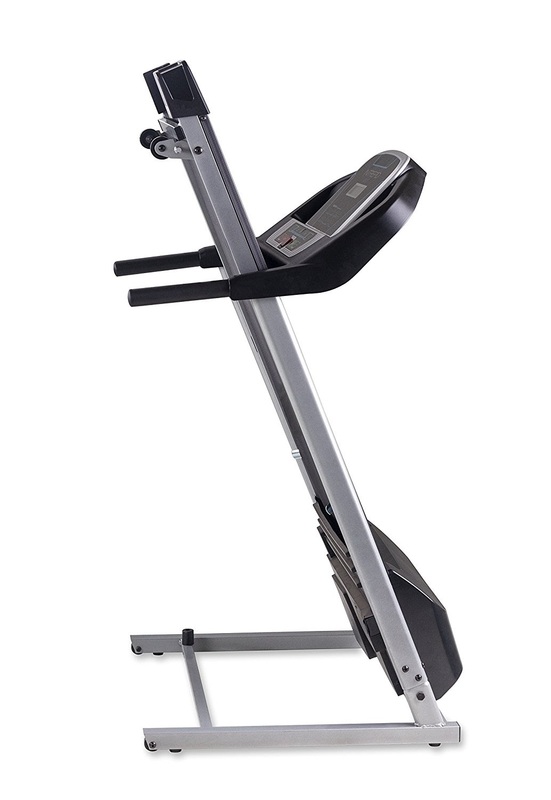 The Intrepid i300 Folding Treadmill utilizes a quiet 1.5 HP motor and offers speeds ranging from 0.5 mph up to 10 mph, allowing you to workout and progress at your own pace. The Intrepid i300 Treadmill features 2 manual incline settings which enable you to work more muscle groups and has a variety of 12 preset programs to keep you motivated. Alternatively you can simply get on and go with the manual program where you’re in complete control. In addition, there are quick-touch speed buttons with which you can quickly and easily change the speed with quick access to 3 mph, 6 mph and 9 mph. 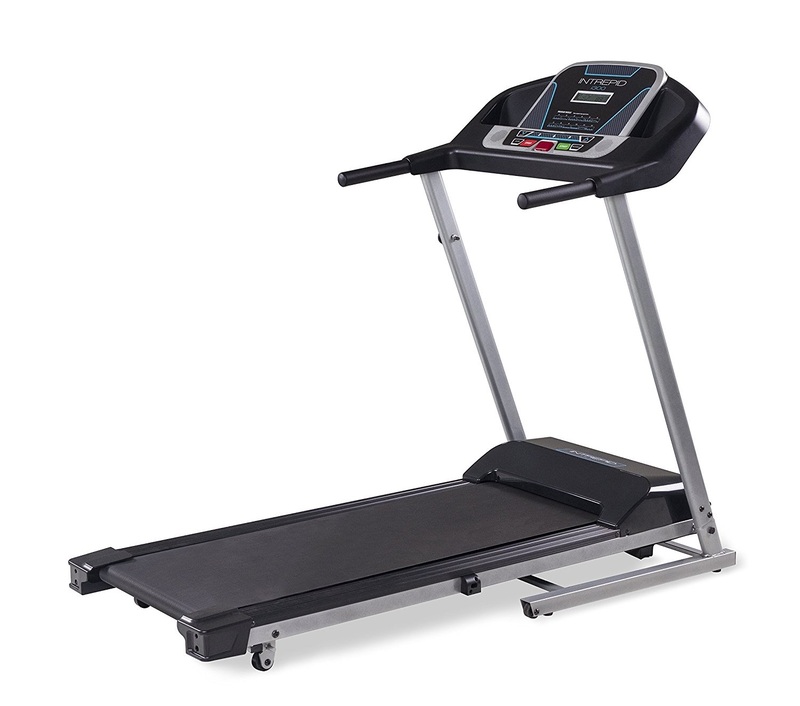 The Intrepid i300 Treadmill features a cushioned deck for user comfort. The cushioning technology helps to absorb the impact of your workout thus minimizing stress on your joints and allowing you to workout for longer in comfort. The running belt surface measures a generous 18” wide by 47” long. 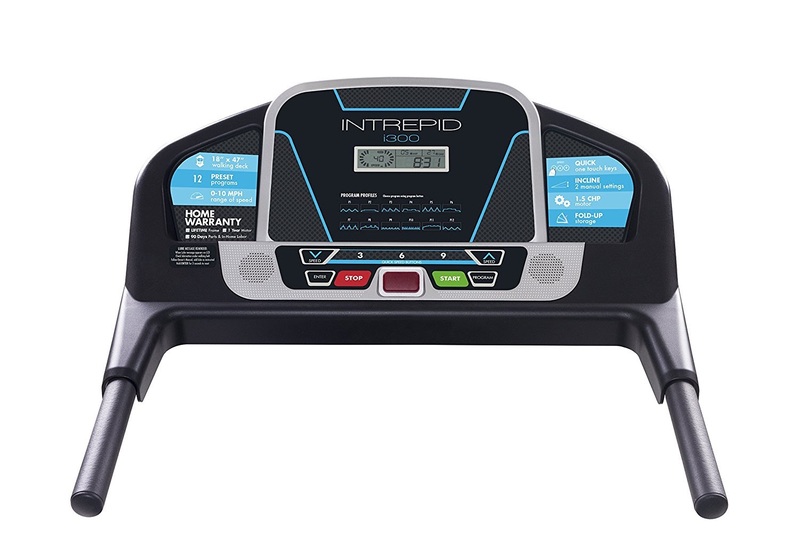 The Intrepid i300 Treadmill comes with an easy-to-use fitness console with a large 4.5” LCD screen that displays motivating workout stats as you exercise including time, speed, distance and calories. The console incorporates a built-in reading rack and dual accessory holders to place your water bottle, cell phone, MP3 player or other items. To save space when not in use, the Intrepid i300’s deck folds up and the treadmill has built-in transport wheels for easy relocation or storage. Allowing for a 250 lb user weight capacity, the Intrepid i300 is sturdily built and features a heavy-gauge steel frame that is covered by a lifetime warranty. In addition, the motor comes with a 1 year warranty and parts/labor are covered by 90 day warranty. Comparing Schwinn 830 versus Schwinn 870 Treadmill (2013), What's the Difference? Comparing Merit Fitness 715T Plus versus Merit Fitness 725T Plus Treadmill, What's the difference?